Topline results from a phase 1/phase 3 clinical trial of ABP 798 in patients with moderate-to-severe rheumatoid arthritis have been released. ABP 798 is a biosimilar candidate for rituximab (Rituxan). The study sought to evaluate the pharmacokinetics, efficacy, and safety of biosimilar candidate ABP 798. Results showed that ABP 798 and rituximab have pharmacokinetic similarity, equivalent efficacy, and a comparable safety profile in patients with the chronic inflammatory disease. 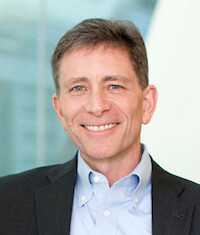 "Results from this study show pharmacokinetic and clinical equivalence between ABP 798 and rituximab, further demonstrating Amgen's commitment to providing patients with access to high-quality, biological therapies," said David M. Reese, MD, executive vice president of Research and Development at Amgen. "We look forward to continuing to leverage our experience and expertise in biotechnology to bring more biosimilars to patients." The double-blind study included 311 participants with moderate to severe rheumatoid arthritis who were randomized (1:1:1) to receive ABP 798 (n = 104), rituximab sourced from the US (n = 103), or rituximab sourced from the EU (n = 104). Patients were aged ≥18 to ≤80 years and had been diagnosed with rheumatoid arthritis at least 6 months before baseline. Each patient received the assigned drug via IV infusion at baseline and at week 24. The study continued through 48 weeks. The primary endpoint was pharmacokinetic similarity between the study arms, as measured by the serum concentration–time curve and maximum serum concentration—both of which met the pre-specified equivalence margin. The efficacy endpoint was measured by the change from baseline to week 24 in Disease Activity Score 28-joint count C reactive protein (DAS28-CRP). The company is also conducting an ongoing phase 3 study of ABP 798 in 250 participants with non-Hodgkin’s lymphoma. Rituximab is approved by the US Food and Drug Administration (FDA) for the treatment of adults with rheumatoid arthritis, non-Hodgkin's lymphoma, chronic lymphocytic leukemia, pemphigus vulgaris, granulomatosis with polyangiitis and microscopic polyangiitis. In May 2018, the FDA issued a complete response letter for a proposed rituximab biosimilar. Truxima, a rituximab biosimilar, was approved in November 2018 for the treatment of non-Hodgkin’s lymphoma. However, there is currently no rituximab biosimilar approved by the FDA for the rheumatoid arthritis indication.